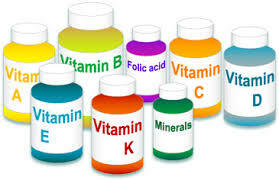 Many of the vitamins we take are manufactured in China, and with the growing vitamins and supplements industry booming (it’s about a 28 billion dollar industry and counting), it’s showing no signs of stopping. And although everyone is becoming aware of food manufacturing practices, both in the U.S. and overseas, we never really research what parts of those vitamin formulas, or food, health & beauty products for that matter (think vitamin waters, etc. ), are made in China, or what is truly in them. Americans love a quick fix so products that are emergency quick fixes loaded with C, or any other product with Vitamin C or Echinacea in it, tends to fly off the shelf, with over half U.S. adults taking some vitamin and supplement. Over 90% of the Vitamin C production and manufacturing comes from China, although it seems most people would not know that because labels may only reflect where the product is packaged and sold from, not where every single ingredient is bought from. And since lots of vitamins are sold as “food” and not “drugs”, they don’t have to be inspected or likely tested, depending on the independent company’s practices. This isn’t good because China has large amounts of pollution, overriding most other countries pollution levels, even in the soil and water they utilize in farmlands and agricultural practices. Another unknown – organic products may not be entirely safe either. The USDA organic labeling standards don’t have clear limits around heavy metals for foods, so why would they for vitamin components? And if you’re drinking a drink with vitamins in it, or even wearing makeup with something in it like caffeine, green tea or Vitamin E or C, even these could be more toxic then left on to believe. So what can we do? Usually companies and local artisans that advertise that they grow within the U.S. and aim for strict organic standards are our best bet. Buy from companies that you trust. Call them up, ask questions, and vote with your dollars.